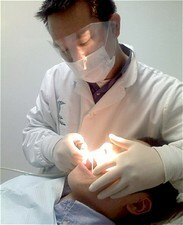 Top most in our mission to provide quality dental care is our hygiene program. We believe regular visits to the hygienist is paramount in diagnosing and preventing many conditions that may arise. In cases of aesthetics we do have a have a whitening program. Please inquire by calling and contacting Dr. Lee.